London Craft Week returned to the capital this May for its fourth annual edition. The festival is a not-for-profit, five-day event championing the very best in British and international creativity and craftsmanship from new makers to famous names. The Prince's Foundation was invited to introduce the joys and skills of heritage crafts to young people and curious beginners during the week. 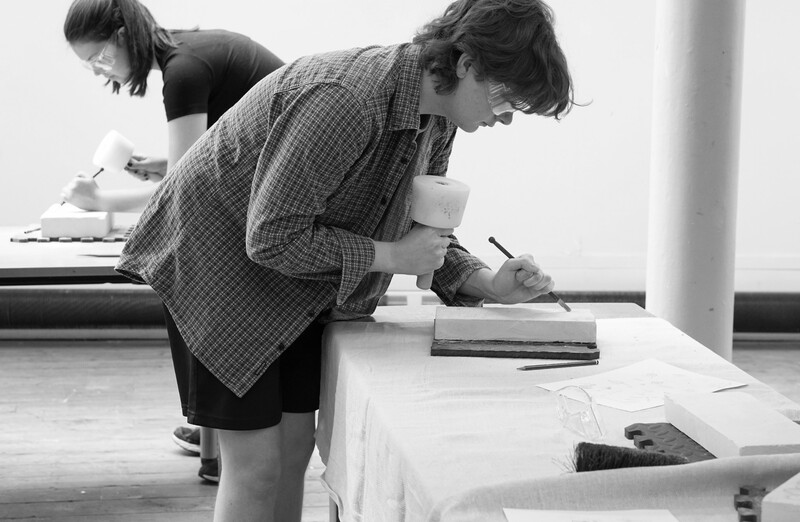 Stonemason Lily Marsh and woodcarver Sarah Goss curated two intimate workshops and imparted their expert knowhow as Building Craft Programme alumna. 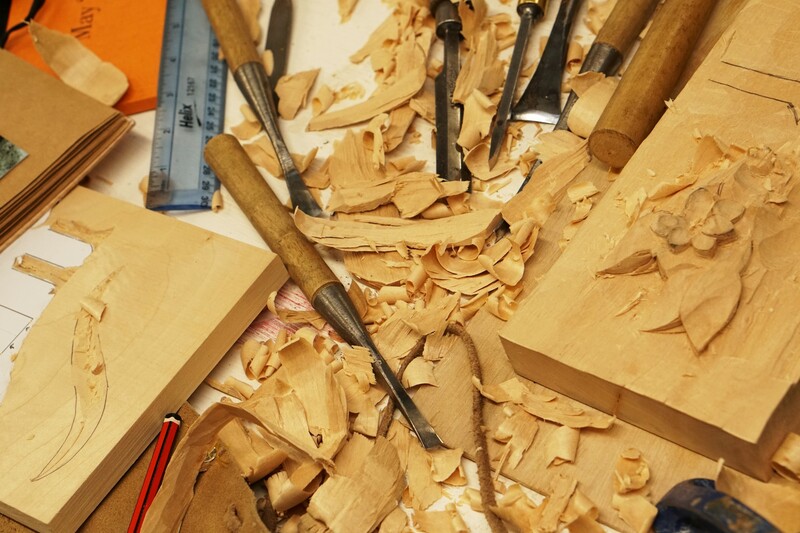 Equipped with special wood carving tools, Goss’s students first practiced a range of basic techniques before they drew and carved their own initials into Limewood – a wood that is known to respond well to shaping and whittling. Marsh’s session saw an eager group of people aged 16-20 try their hand at designing mason marks, a custom that dates back to the 11th century. 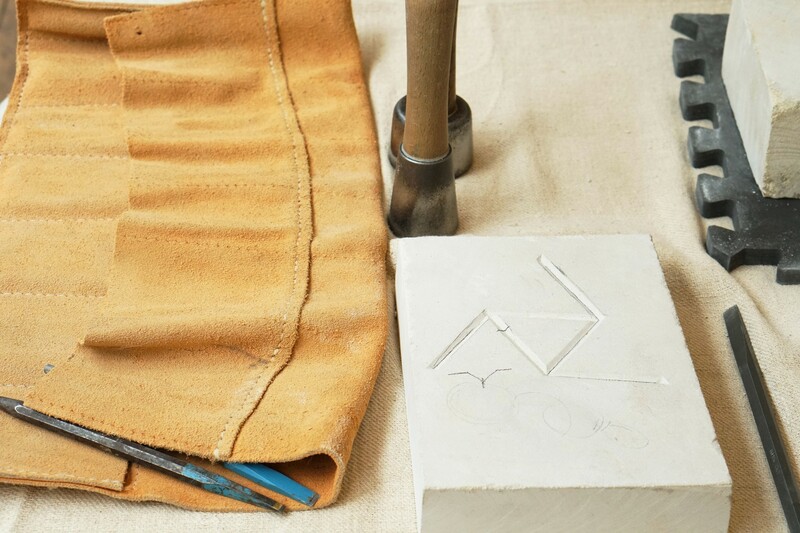 Armed with an introduction to expert hand tools and the qualities of limestone, the students now have the option to sharpen skills as a hobby or carry on to further study.